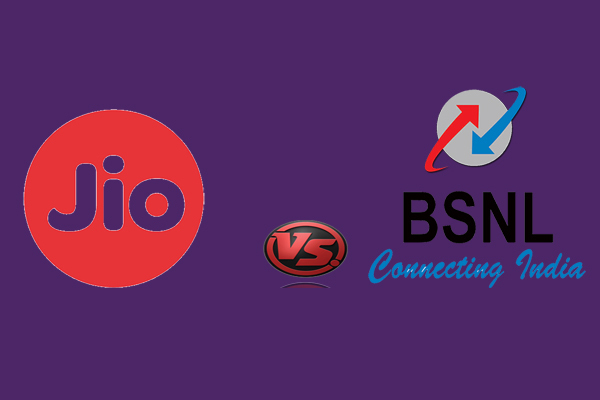 Reliance Jio now major telecommunication spread in long passive telecom industry with his affordable tariff plans. So many telecom industry cost cutting his tariff data plan with included more scheme watch in market trends. Reliance Jio just 1 GB data plan pay only Rs. 50. On Tuesday BSNL also major announce for his data plan for Jio entry into telecommunication industry. BSNL MD & CEO “Anupam Shrivastava” will aggressive lunched our tariff plan compare of RJio. BSNL offers unlimited broadband plan just play only 249 Rs. per month, this offer is better than reliance Jio. Also this new scheme 2 Mbps speed with affordable cost and consumer benefits. BSNL major contributor Landline and optical fiber operator in India. This new data tariff plan rides on our own network. Company also major announce landline users would opportunity to make unlimited call cost free for other operator network or mobile number in India. We are moving to lunch out cost cutting and affordable advance unlimited BB plan “BB 249” from Sep 9, 2016. The telecom PSU said on last Friday. In this plan no any rest of data usage after speed limited, so one of the more good news for consumers. In calculate 249 data plan, data cost Rs. 1. Company already says this plan more chapter compare of other broadband service provider. BSNL 3G data packs unlimited plan announced, now 3G data plan cost Rs. 1099 with more existing plans included. BSNL new plan 249 unlimited broadband offer starting six month provided after company some officially take step when Reliance Jio tariff plan offer for 31 December 2016 after company to take charge for data usage. Asking About Free Call in BSNL? BSNL CEO said BSNL users giving free voice call but this plan offer for 2 to 3 months only. After success or not to take more decision on future. So say consumer gat Fix priced rate for low priced data plan.